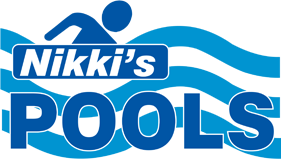 Get the most out of your swimming pool with pool equipment from Nikkis Pools & Service of Georgetown, Ontario. From leaf nets to chlorine, we've got it all. Serving the community for nearly half a century, you simply won't find a better selection of maintenance products, toys, and other pool equipment anywhere else. Unsure of what products are right for your pool? Ask us! Our friendly staff members are always more than happy to assist you. We'll help you find the products you need at prices you can afford. From pumps, filters, and heaters to vacuums and leaf nets, we have the equipment you need to properly maintain your pool. We carry only quality products from the brands you trust, including liners and covers. Ensure your pool is always clean and safe for swimming with chemicals from Nikkis Pools & Service. We carry chlorine, salt, bromine, and other chemicals to maintain your pool. Please call or stop by for a complete list of available chemicals.